Eldorado Stone wants to help you make your next home remodeling project something truly unique and special. Stone walls made of stone veneer make a powerful visual statement and quickly become centerpieces of the interior and exterior spaces. Stone veneer involves a somewhat complicated installation process, so it’s important to know what you’re getting into before committing to a project. Additionally, if you don’t have much experience working with stone veneer, mortar, or grout, you may want to reach out to a professional contractor. When it comes to finding the best contractor to install your new stone veneer, it’s important to follow the same best practices you would when vetting contractors for any other job. Keep the following in mind during your search for the right contractor. Also, you can find complete installation instructions on our website. One quick, easy way to find local contractors who have experience with Eldorado Stone is to visit our website and find your closest Eldorado dealer. Call or visit the dealer to see samples of our stone and get recommendations for local contractors. These dealers are doing business with the contractors every day and they will know the best and the most reliable contractors in the business. After you locate a couple of contractors, bring them in to quote the job. First and foremost, you want to make sure any contractor you hire has the necessary certifications and licenses to perform the work you require. It’s important to ensure your contractor is a legitimate businessperson before allowing any work to be done. Additionally, if your project is going to require any framing or electrical work, it’s important to make sure the contractor is qualified to work on these aspects of the project or can subcontract to someone else who can. You never want to allow an unqualified or inexperienced contractor to perform work on your home. Once you’ve verified a contractor’s credentials, you’re going to want to make sure they possess the necessary experience for you to feel comfortable having them install your stone walls. If the contractor has a business website, see if there are any testimonials from past clients. If it’s a local contractor, you should ask your family and friends if they know or have hired the contractor. Don’t just ask about the quality of the contractor’s work. You also want to make sure whoever you hire is going to get the job done on time and within your budget. Check review sites to see if anyone has any complaints about the contractor you’re considering. These reviews will give you a better idea of what working with the contractor will be like. 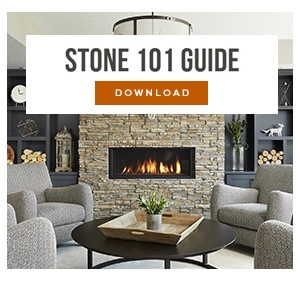 Contractors typically learn how to perform most homebuilding tasks, but stone veneer requires a unique installation method and careful attention to detail. If the contractor has a gallery of past completed works on a website, look through it and see if you spot any stone walls. Ask the contractor how he or she feels about installing stone veneer. 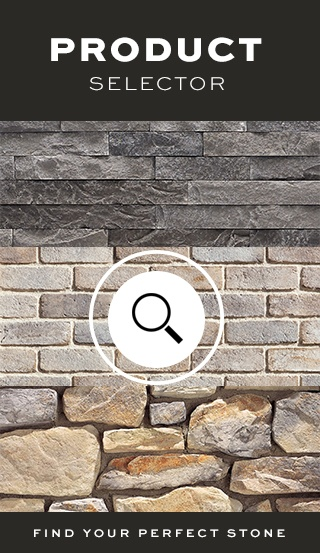 Obviously, you want to try to find a contractor who has worked with stone veneer in the past. We may offer complete installation instructions on our website, but if you’re hiring someone to do the work for you, it’s important to make sure they’re confident in their ability to get the job done right. Once you’ve decided on a contractor to install your stone wall, you’ll need to have a contract drawn up that will cover the details of the project. It’s important to carefully review your contract and make sure the full scope of your remodeling is included. Additionally, budget concerns and time restraints should also work for you. If there are any concerns about any part of your contract, it’s vital to address these with the contractor before signing. If you take the time to carefully vet potential contractors, you’re bound to find one with the right qualifications, experience, and work ethic you want for your stone wall installation.